Just what is it that draws us to the ocean? The rhythmic sound of the waves as they wash up over the shore or the tumble of the swell as the sea rolls in from somewhere far away? Or maybe it’s the vast openness that appeals to our inner-need to be free. Whatever it is, I really do love to be beside the sea. 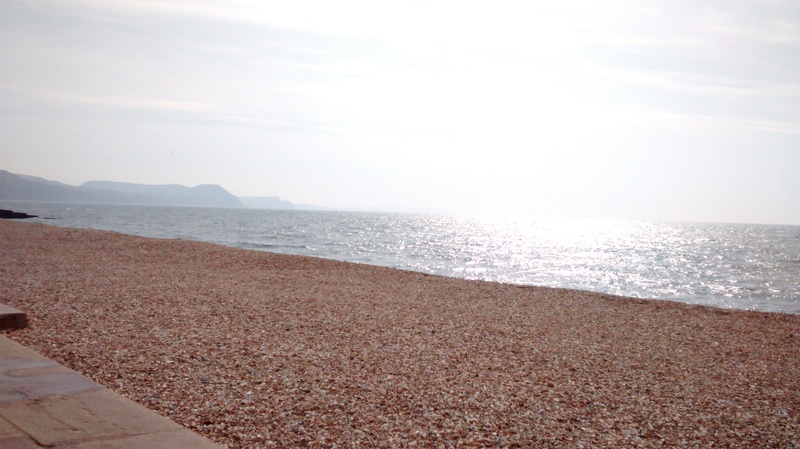 Which is why I decided on a whim to rent a beach hut on the Jurassic coast’s Lyme Regis sea front. Of course I had to take my chances with the weather but having known some astonishingly hot and sunny days in May, I decided it was worth the risk. There was much excitement when we collected the keys to our little hut and whilst it was not in the exact spot described (note to self for next time – double check with clerk what they mean by “near the sandy end of beach”), it was nevertheless overlooking the sea and the historic Cobb. We furnished it simply with our deck chairs, camping stove and miscellaneous picnic style refreshments and equipment (tea bags, coffee, ketchup, cups, plates, etc). The sun shone, the seagulls flew overhead and the boats bobbed about and sailed back and forth. We enjoyed hotdogs (cooked on our camping stove) and plenty of other picnic treats; it felt like an ‘away from it all’ mini short break. 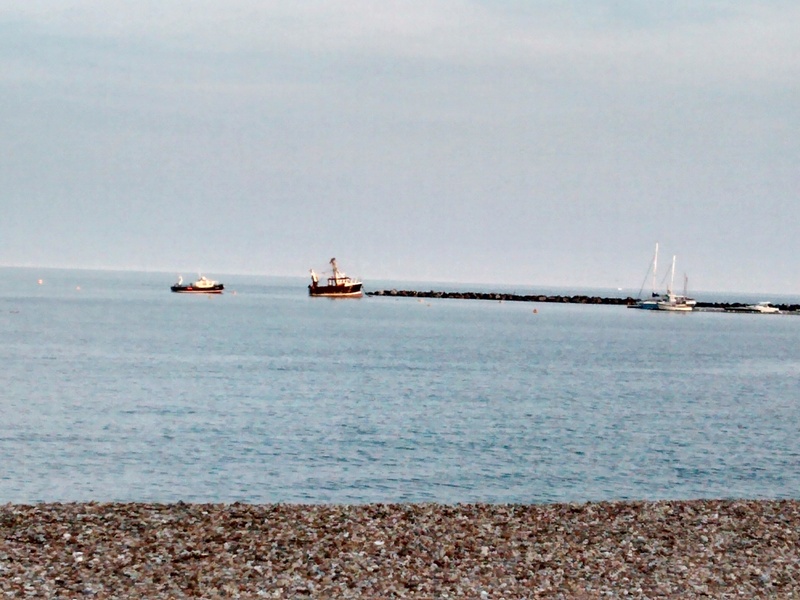 It was also perfect to do a bit of people watching as other beach-goers promenaded taking in the sea air. Then of course there is the advantage of sons 1&2 being able to change without that great hoo-har of a towel toga to cover their embarrassments before and after taking a dip in the sea! The additional blessing of not having to shake sand out of everything is a parental bonus! 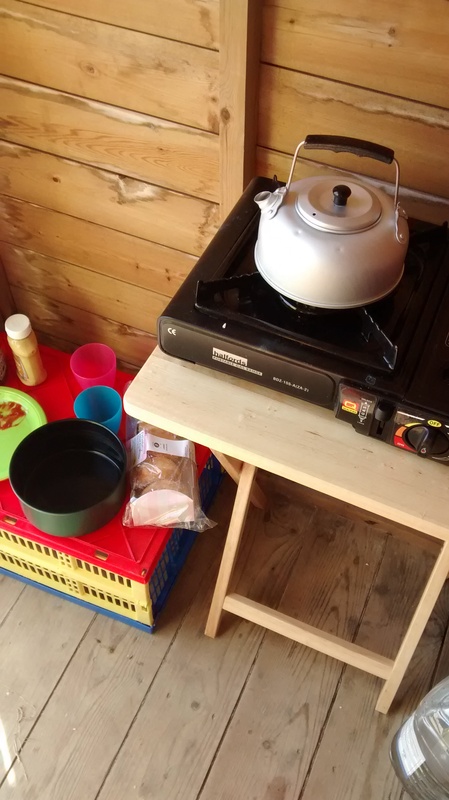 Probably one of the most enjoyable events was turfing the family out of bed early on a Sunday morning, piling into the car and driving down to our hut for breakfast: bacon sarnies (cooked on our camping stove – have I mentioned that invaluable bit of beach hut-kit? ), croissant, breakfast muffins, tea and coffee. Breakfast on the beach – I can highly recommend it! Sadly we didn’t use it as much as I would have liked, it was after all term time so my sons were at school and sometimes the weather was not quite warm enough, but I can say beyond a shadow of a doubt, my whim was worth it and I would definitely do it again! And judging by the number of people who stopped to ask me how I had booked it and did I mind telling them how much it cost? I was more than happy to tell them it was as simple as going to the website http://www.lymeregistowncouncil.gov.uk/our-town/leisure-facilities/beach-huts or phoning the Lyme Regis council 01297 445175. Go on, grab yourself a view of the sea, a piece of the ocean, a breakfast on the beach. This entry was posted in Family life and tagged beach, beach hut, boat, breakfast, camping stove, Cobb, Jurassic coast, Lyme Regis, ocean, sea. Bookmark the permalink.